InSituX, la solution pour analyser le solide in situ lors des procédés de cristallisation. Le master 2 cristallisation a ouvert ses portes l'an dernier, venez le découvrir sur notre site internet. Le laboratoire SMS possède un large panel d'équipements scientifiques pour effectuer des caractérisations physico-chimiques. 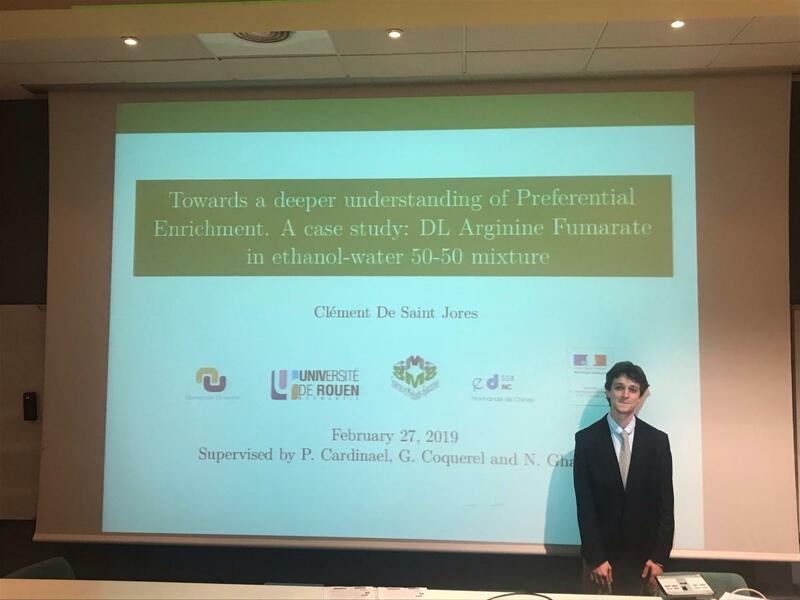 - 27th Febuary 2019: Clément De Saint Jores defended his PhD entitled "Towards a deeper understanding of Preferential Enrichment. 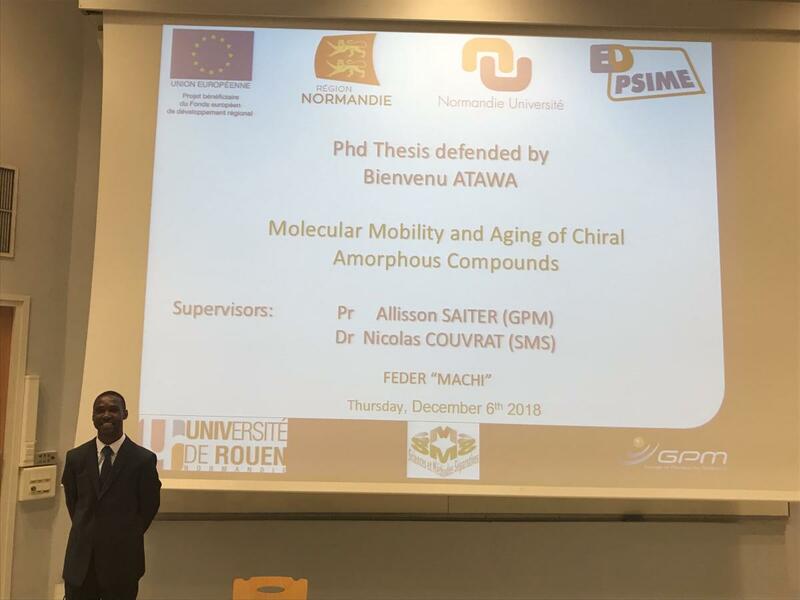 A case study: DL Arginine Fumarate in ethanol-water 50-50 mixture"
- 6th December 2018: Bienvenu Atawa sucessfuly defended his PhD entitled "Molecular Mobility and Aging of Chiral Amorphous Compounds"
- The SMS laboratory will be pleased to welcome Prof. Adrian FLOOD (Vidyasirimedhi Institute, School of Energy Science and Engineering, Thaïland) from September 7th to 14th, for the development of research projects, as well as conferences and seminars. 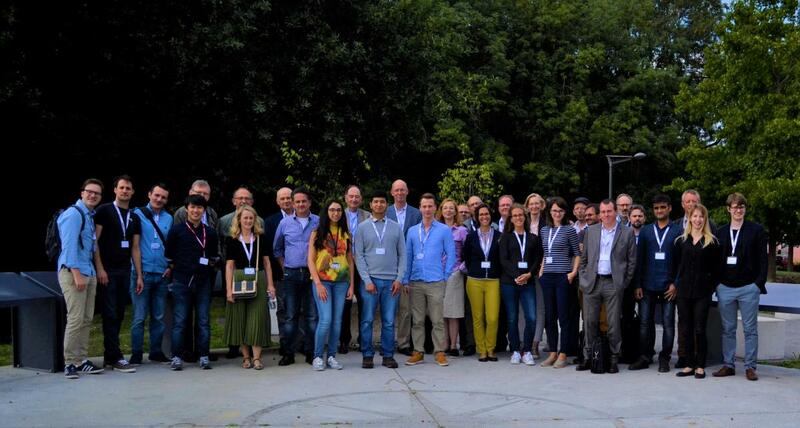 - From Thursday 6th to Friday 7th September 2018, the SMS laboratory organized the 25th BIWIC Symposium, held at the University house - Thanks to all its participants for making this event a great moment of scientific exchanges. - The SMS laboratory will be pleased to welcome Mr Hiroki TAKAHASHI from September 15 to 29, 2018 and Pr Joop TER HORST from October 3 to 26, 2018 for the development of research projects, as well as conferences and seminars. - 24th to 29th July 2018: Synchrotron measurements at SOLEIL (Paris, France) are scheduled in the framework of Kangli Li's PhD thesis. - 2nd July 2018: we are hosting a PhD Student from the Core Network, Giulio VALENTI - He will be performing his secondement in the laboratory. - 29th June 2018, 10am. Poirier Amphitheater, IRCOF : François-Xavier GENDRON will defend his PhD entitled "Contribution to chiral discrimination in the solid state & access to pure enantiomer"
- 26th February 2018: Kangli Li obtained an Erasmus scholarship for a three month internship period (April 30th to August 4th 2018) in the laboratory of Prof Tamarit in Barcelona (Universitat Politecnica de Catalunya). She will focus on thermal analysis under pressure and X-ray diffraction measurements as a function of temperature. - 12th February 2018, we are hosting a PhD Student from the Core Network, Francesca CASCELLA - She will be performing his secondement in the laboratory. - 29th January 2018 : we are hosting a PhD Student from the Core Network, Raghunath VENKATRAMANAN and Francesca BREVEGLIERI - They will be performing his secondement in the laboratory. - 25th January 2018, the SMS Lab celebrated its 20th anniversary at a cocktail party in the new premises of the Faculty of Science. - 14th November 2017: we are hosting a PhD Student from the Core Network, Jan JorisDEVOGELAER - He will be performing his secondement in the laboratory. 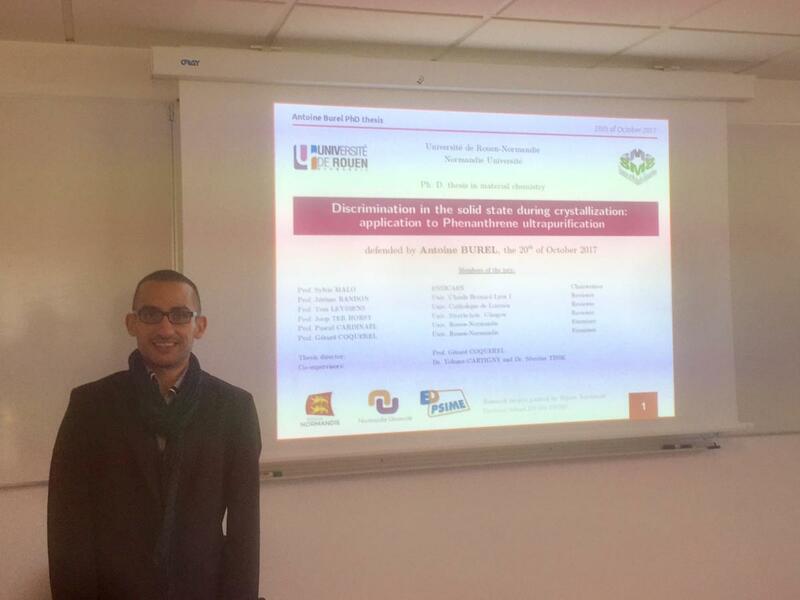 - 20th October 2017: Antoine BUREL sucessfuly defended his PhD entitled "Discrimination in the solid state during crystallization: application to Phenanthrene ultrapurification"
- The webpage of the 25th BIWIC (International Workshop on Industrial Crystallization) is now online. - From 20 to 21 October 2017, Prof. Joop ter Horst (University of Strathclyde) will be visiting the SMS laboratory. On that occasion, few hours of his time will be devoted to teaching crystallization to master students (more info here). We are looking forward to exciting discussion about chiral resolution and nucleation. Checkout our latest colaboration here. - From 3 to 7 September 2018, in collaboration with the ITN CoRe network (Continuous Resolution, more info here) the SMS laboratory will organize a joint congress between CoRe' ESR conferences and BIWIC 2018 (Bremen International Workshop on Industrial Crystallization). More info concerning registration for BIWIC will be published in the near future. - From 18 to 28 September 2017, the SMS laboratory will host two great japanese professor from Kyoto University: Prof. Rui Tamura and Prof. Hiroki Takahashi. Their research works permited major contributions to the understanding of the preferential enrichement phenomenon. Checkout our latest colaboration here.